Received: gifted by Cynthia - thank you! Let me start this review by saying HOLY WOW. First, I know this book does not come out for another few months, but I can't contain my love and adoration for it. I just have to share it NOW. The insanity I feel for this book is out of control. OUT. OF. CONTROL. My mind is still spinning, attempting to wrap my brain around what I just ingested. You know when someone says, oh this book is so good I couldn't put it down? Well, I physically could not put this one down. I plowed through the first half (at work - oops) and neglected my responsibilities for a day. It's that good people. I usually do a quick run through of what a book is about before I share my opinions on it, but in this case I will not be doing that. Let me just say, there is some dark stuff happening on the verge of a corrupted world. A girl has some special "talents" that she refuses to share with the world, one evil creature in particular. I know that's a seriously vague description of what this book is about, but I am keeping it vague on purpose. The surprise element in this story is ridiculous. I want you to be able to read it, with no idea what's coming next. It will add to the intensity, trust me. I will, however, share some details from the story that are very difficult to keep a secret. HOLY SEXYTIMES. And before you ask, is this considered YA?? Oh yes it is. Tahereh Mafi has done an amazingly superb job of keeping it tasteful, yet so so SO steamy. I literally had to put the book down in a few parts and fan myself. This woman knows how to write the passion. The pages are soaked in sexual tension that pull you in and never, ever let you go. I loved the richness of every emotion as it's described and portrayed. From fear, to excitement, to amazement, and especially to passion. I am blown away by this debut author (and she's only 23!!). Her writing capabilities astound me. Every sentence is written so poetically that my mouth is just dripping from word to word. I couldn't get enough. I love the obviousness of her writing. She puts thoughts out there that we're all thinking. She has taken a broken, beaten down character and given her so much life, so much existence, that in the end I am crying for her triumphs. There is one point in the story that I was physically on the edge of my seat, flipping the pages, so scared of what I'd find on the next page. The intensity is so, so hot. BURNING through your fingers. 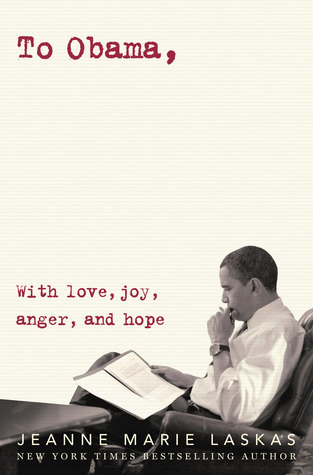 I can not wait for you all to get a hold of this book. If you're not an instant fan, then who are you?! (just kidding - sort of). 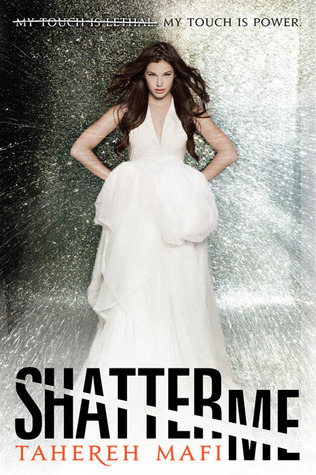 Shatter Me is the beginning of an epic series that I know, for sure will be sought after by so many in the YA book blogging community. THIS BOOK IS SO HOT. The end. "Tahereh Mafi has done an amazingly superb job of keeping it tasteful, yet so so SO steamy. "-You are SO right! All I keep hearing are amazing things about this book. I can't believe the author is only 23. I feel so old! I want this book now...... i mean right now. I have been wanting it since i heard so many people loved it. You review is making me want to beg someone to borrow their copy til i can get a final copy. What an amazing review Ginger! I have heard nothing but amazing things about this book. I want to read it sooooo bad! oooh, I have a copy of this sitting in my TBR pile, I'm so excited to read it now! Thanks for the review! Ahhh, I can't wait to read this!!! Ah, your raving review makes me want to read this so bad! I'm so glad you loved it. Whoa! Now there's an endorsement! Guess I'll have to make sure to read this one as soon as I can snag a copy! The first time I heard about this, it sounded good but I didn't think much of it. Now, everyone's gushing all over the place about it and I'm SO excited to read it! I've really been looking forward to this one. I'm glad it's so good! your review totally does this book justice. well stated and excellent job hitting on the emotional punch and sustained tension this book brings WHILE HAVING SERIOUS SEXYTIMES. Sexytimes. You know, you say that and automatically my attention is perked. Awesome review this is definitely going to be one of my weekend books! I really, really, really need to get to this one. I got Shatter Me at BEA in May but since it doesn't come out until Nov I was trying to hold off but everyone keeps saying how great it is so I think I shall cave and read it this week. Ugh. I just won the ARC. I thought the wait for it to come out was bad, but after reading your review, the wait for the mail is even worse. Haha. This book sounds terrific! !